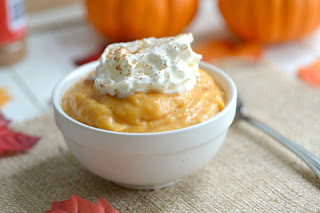 Why wait on Thanksgiving season if you love the taste of Pumpkin? I love this pudding it is light and very easy to get ready for those hot summer days.It's cool and not the same old pudding. This pudding is spicy and rich and you serve it cold in the summer and hot in the winter.